Like all Capetonians, as a school KPS has become more sensitive about how much water we consume as we service the daily needs of almost 1000 people. With this in mind the school has developed a water scarcity plan. There are two elements to the plan: Firstly KPS is committed to making our learners more aware of water scarcity and the importance of conserving water globally. We are using the opportunity of the present drought conditions as a school to drive the importance of what water means to us and why we need to be frugal with water use. We encourage our parents to support this campaign with follow up discussions at home. We, along with our children need to find it difficult to ever be wasteful with water again. The other part of the plan deals with both ongoing and future plans for water saving and what contingency plans are in place for a future possible ‘Day Zero”. We have installed a smart meter to better understand our use of water at KPS. 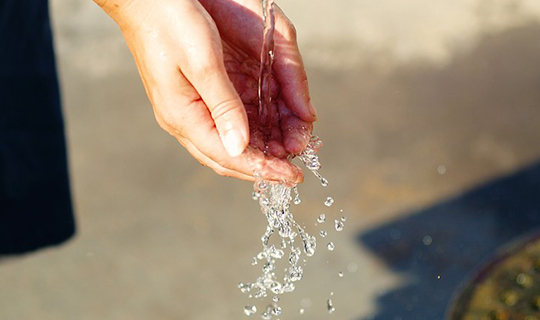 The number of taps in all bathrooms have been reduced – hand sanitiser is available in all bathrooms and classrooms as an alternative to hand washing. Children are encouraged to bring water bottles to school for their own consumption. This prevents spillage which occurs when drinking from a tap. Our bathrooms are plumbed to use treated groundwater in the toilet system. This will be particularly important if there comes that time when there is no municipal water. KPS utilises ground water for our school grounds and fields and has installed timers on our watering systems. KPS is committed to reducing our use of ground water consumed on the school grounds and continually explores ways to reduce our water consumption.